Russia, for the first time, has presented a list of luxury goods that are banned from being exported to North Korea to a UN sanctions committee, a US broadcaster said Tuesday. The list includes luxury products mainly related to sports and recreation, said Radio Free Asia, adding that Russia has notified the committee of its decision to limit their direct and indirect export and transportation to the North on May 3, Radio Free Asia said. 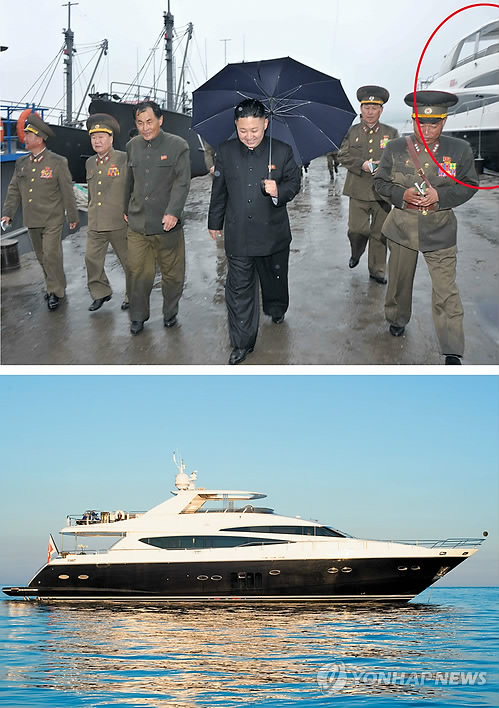 Among the banned products are all kinds of yachts, crystal glassware products, rowboats, canoes, snowmobiles and billiard-related products, according to the broadcaster. Equipment related to gymnastics, athletics, table tennis and swimming, jewelry and all kinds of watches decorated with jewels are also on the list. The UN Security Council adopted Resolution 1718 to punish the North's first nuclear test in 2006, and launched the sanctions committee. The resolution requires all UN member nations to not export luxury goods to the North and submit their lists of embargoed luxury goods to the committee.